On the first Thursday of every month, the galleries and arts spaces of East London open their doors later into the evening, inviting art lovers to explore their exhibitions. Free talks, openings, private views, workshops, live performances and more are all on offer across more than 130 venues across East London, with some offering a tipple on the house. Largely these run from 6pm-9pm, but some hours are extended further. Eleven Spitalfields is a small gallery tucked away in Princelet Street, just behind Brick Lane. It is also the home and studio space of Chris and Sarah Dyson, who renovated the house to restore its former Georgian glory both inside and out. Usually solely open on the weekends, the first Thursday of April was an opportunity to step back in time and see the striking photography of C. A. Mathew. On one seemingly ordinary day in 1912, the photographer took his camera out on to the streets of East London. The images on display in this appropriate location honestly and brilliantly capture this moment in time, in one of the few photographic documentations of this area during the period. The intrigued yet ordinary people on the streets who feature in C.A. 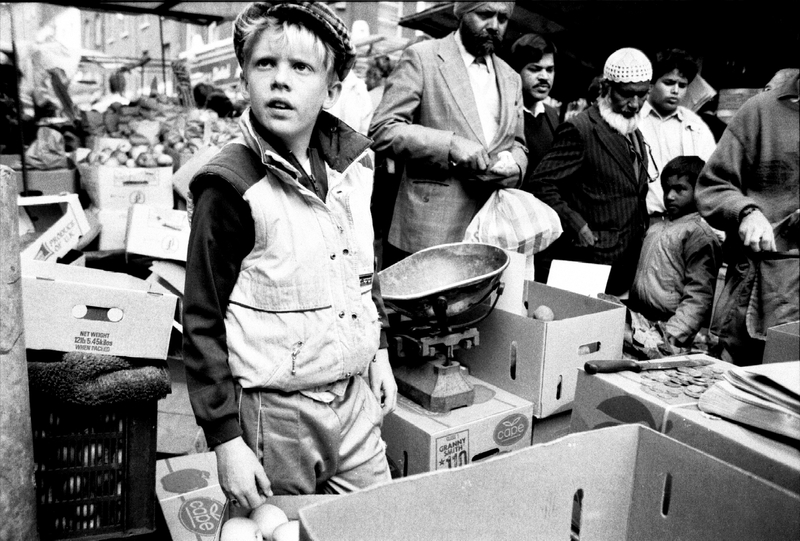 Mathew’s photographs of Spitalfields seem to stare curiously through the lens of the camera in awe, just as we gaze back at them. 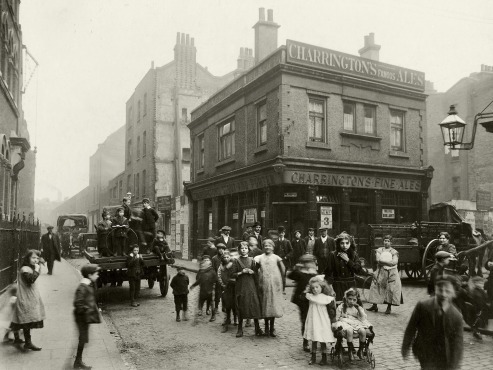 Most of the residents of Spitalfields in 1912 would not have seen a camera before. When C. A. Mathews took his bulky, unfamiliar equipment out on to the streets, he managed to capture the intrigue of these people and translate it into wonderful and captivating photography. These images could be described as the first examples of street photography. They are a unique insight into Spitalfields one hundred years ago, beautifully preserved and presented in the heart of the area today. The exhibition runs until 27 April. LoVArts was lucky enough to experience the busy opening night of Espacio Gallery’s Annual Portrait Show, showcasing exciting new work by a number of emerging artists. What was great about this exhibition was the diversity of the collection on show – from simple, innocent oil paintings by Liz Whiteman Smith, to the intricate oil and glass creations of Santiago Alcon, to the impressive textured charcoal works of Jill Meager. 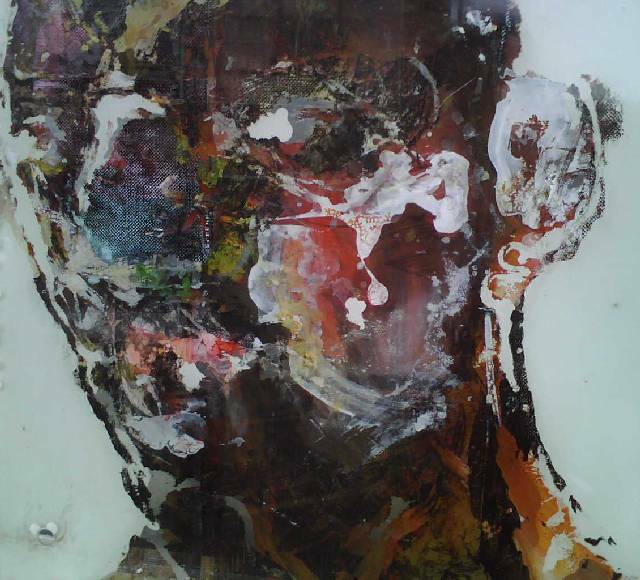 The exhibition was a celebration of both contemporary and traditional portraiture, with a diverse range of experience, influence and technique. The exhibition runs until 8 April. 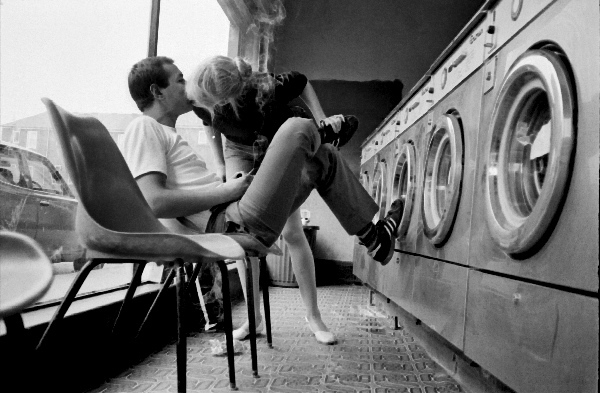 Phil Maxwell’s bold photographs of daily existence in Brick Lane capture the energy and life of this famous East London street. Black and white yet incredibly vibrant, Maxwell’s photography is utterly iconic. Back in 2011, Phil Maxwell’s work was used on the programme, marketing materials and signage of the East End Film Festival – testament to how well his images resonate and embody the culture, history and character of the East End. The Mezzanine of Rich Mix was beautifully lit and the walls covered with a selection of three decades worth of Maxwell’s work. Stretching from the 1980s to the 2000s, these photographs are a portrait of the changes but also the continuities of the East London neighbourhood. The intimacy of the portraits reveals Maxwell’s humanity, the small details he captures speaking volumes. The viewer is allowed to simply dive into the atmosphere of Brick Lane regardless of the decade. This prolific photographer’s collection of work is emotive and powerful – and not to be missed. The exhibition runs until 26 April. LoVArts’ journey around our selection of galleries on Thursday began with the photographs of C.A. Mathews in 1912, and finished a century later with the street photography of Phil Maxwell. The incredible history of East London, and how significant the influence of art and design has always been to the area, was apparent and beautiful. We can’t wait for May’s first Thursday, and will be sure to post a guide of what not to miss next month! This entry was posted in Events, Exhibition, Review, Uncategorized and tagged Art, Arts, Brick Lane, East London, Exhibitions, First Thursdays, London, london visual arts, LoVArts, photography, Review, Spitalfields. Bookmark the permalink. Reblogged this on Queen of Nothing.